With headquarters in Munich, Germany, BMW is owned by its parent company, BMW Group. This company also owns additional luxury brands such as Rolls-Royce and Mini. Richard Catena Auto is proud to be part of this iconic family of automotive excellence, which is why we go above and beyond to provide our Newark customers with the absolute best. Owned by shareholders, the BMW Group is an incorporated entity. In Germany, it is referred to as BMW AG, or Bayerische Motoren Werke Aktiengeselleschaft, which is its German name. This translates to “Bavarian Motor Works”, with the “AG” indicating its shareholder status. 50%=Public Float: This represents the shares that are owned by public investors. BMW manufacturing plants are primarily in Germany, with the largest manufacturing facility in Dingolfing. The production facilities are available for tours and visits, and make for a fun outing for BMW enthusiasts. BMW is synonymous with exceptional engineering and exhilarating driving. 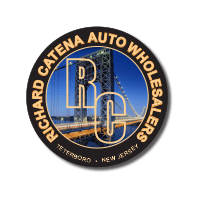 Richard Catena Auto offers Paterson drivers a high-quality selection of used BMWs, all thoroughly inspected and road tested. Get all the perks of a BMW with a lower price tag when you shop with us, and take advantage of our specials to save even more. Still searching for the perfect model? You may be surprised to find out who owns MINI Cooper.